Friends, I’m going to share this with you because you’ve been good, very good. You keep coming and reading my thoughts on all sorts of serious, ugly things. This is not ugly – not at all. I know you’re thinking: you already know what time of year June is. June is the start of summer, June is time for linen clothing, June is time for gardening and sangria and going to the beach and pulling your fan out of the closet. 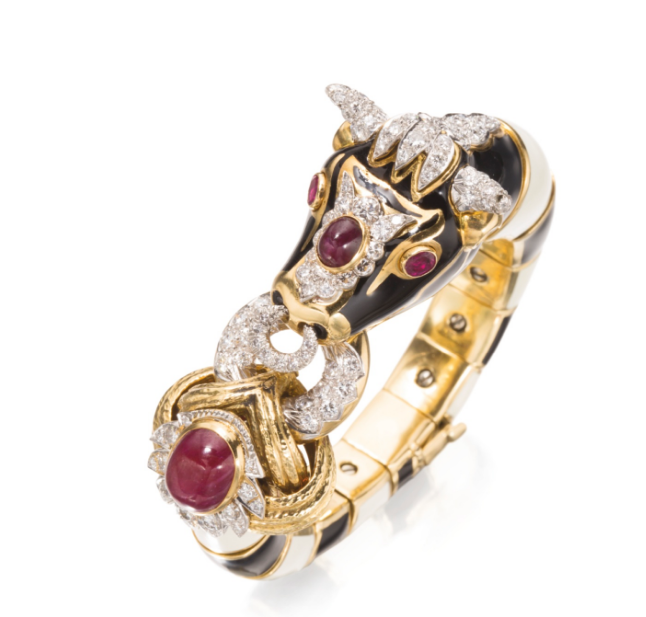 It’s also the time of year that major auction houses host their important jewellery auctions. Every June. Many will do a fall auction as well, but you can count on the Spring auctions in June. Today is Christie’s “Magnificent Jewels & the Cullinan Dream” auction. Tomorrow is the Sotheby’s “Fine Jewels” auction; at the end of the month they will auction the Lesedi La Rona diamond. 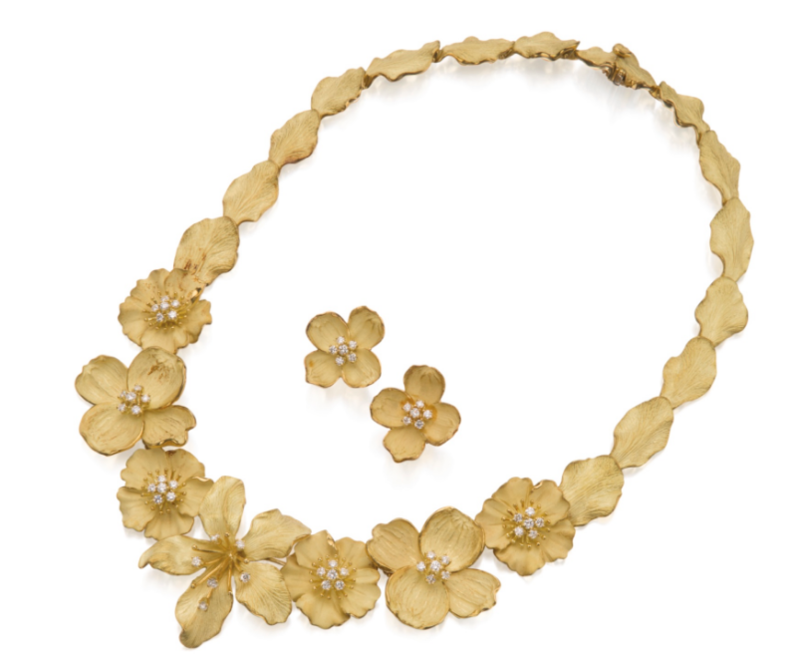 Closer to home, next week we have the Dupuis “Important Jewels” auction. I told you I’d blog about things I want to buy but won’t actually end up buying: this bracelet is a lot more exciting than a pajama shirt, hey? For those of you who think I’m “dreaming”: you’re wrong, I’m “planning”. I’ve thought long and hard about wearing a necklace like this. About who can do it and when it’s appropriate. And then I realized: it’s for the elderly. As soon as I’m 85, I’m putting something like that on, and I’ll wear it until the day I die with my all-red outfit. The earrings and the bracelets are for my youth. It’s springtime for the world, and springtime for the seeds of your jewellery collection!